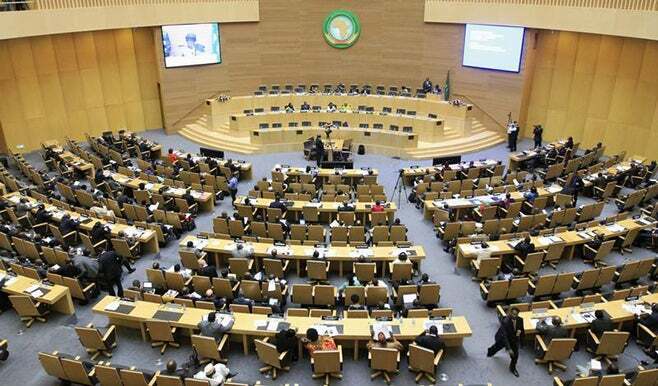 Dear African Union Leaders: An Open Letter From Massacred Africans Ugandan blogger Daniel Kawuma calls out the leaders of the African Union on human rights atrocities in this compelling read. Greetings from the mass graves scattered across the vast lands of Africa which many of you played a key role in digging as you shot your way into power. We always keep you in our prayers and look forward to reuniting on the other side– which in a majority of your countries will be the long awaited moment to witness power change. Power can indeed be intoxicating, not even the prestigious $5 million prize and $200,000 per year bribe from Mo Ibrahim could sober many of you up to govern for the greater good of Africans. Now we divagate! While roaming the dry savanna lands, our spirits recently came across revelations that leaders many of whom have blood on their hands are spearheading a movement within the African Union (AU) to break away from the watchful eye of the International Criminal Court (ICC). This follows unsuccessful attempts to terminate or postpone ICC indictments against your Sudanese and Kenyan comrades accused of committing crimes against humanity. Since we have mostly been ignored in these discussions, it is important that we reintroduce ourselves. We were ordinary civilians struggling to make ends meet when your troops stormed our communities. They terrorized, raped, enslaved, looted, tortured, mutilated, amputated, decapitated, slaughtered with machetes, enlisted child soldiers and burned alive– women, men and children of Africa. Those who were lucky to survive the carnage continue to live with the trauma and scars of your actions. It was indeed fascinating to watch Uganda’s President Museveni lambast the ICC before the U.N General assembly an organ he once supported and referred Lord’s Resistance Army leader Joseph Kony in 2004 to be indicted for war crimes. As many will ironically point out, Museveni’s rise to power in 1986 followed a brutal guerrilla war that condemned significant numbers to join us in mass graves. Museveni now brands the ICC as incompetent, biased, shallow and engaging in politically motivated targeting of African leaders. Yes, we agree that the ICC has primarily focused on Africa. We also agree that the cosignatory nations constitute only 30% of the global population. We agree the court has not prosecuted any leaders from the world’s super powers for war crimes. However, the argument that the ICC is a biased instrument of power against African nations is not justification for the toothless AU crying foul while languishing in dormancy. War lords who engage in terrorizing civilians have to be held accountable. Feeding the masses with sermons from the red meat of Pan-Africanism and neo-colonialism should never be cover for hacking off our arms and legs in pursuit of power. In fact suggesting that war criminals should be left to rule in exchange for stability is a false choice. Africa has leaders capable of governing without relying on AK-47s and machetes. The vision of the African Union is to foster “an integrated, prosperous and peaceful Africa, driven by its own citizens and representing a dynamic force in the global arena.” What have you done to turn this vision into reality? Whose interests are you serving by attempting to isolate Africa from the International Criminal Court? Did the sons and daughters of Africa including the ones you massacred give you a mandate to seek immunity? If your intentions are to gut the ICC, what has the African Union done to prevent genocide? Where was the OAU/AU when millions were slaughtered in Rwanda, Darfur, Libya, Egypt, Somalia, Uganda, Liberia, Sierra Leone and Kenya? What is the purpose of having exhibits of mass atrocities such as The African Union Human Rights Memorial Project when you are not doing much to abate future crimes against humanity? Your desire to impede justice inflicts additional pain and suffering to the sons and daughters of Africa whose blood continues to be mercilessly shed. Those who were elected or fought their way into power should understand that leadership is a privilege that is earned through service and not a right. There is no greater disservice to society than a leader who muzzles voices of accountability and guts instruments designed to protect civilians from ruthless power seekers. Who will stand up to defend our most fundamental of human rights- the right to life? The ICC is our last line of defense and offers a constant reminder to would be perpetrators that there will be a day of reckoning. We hope that you choose to be part of the solution by reinforcing the legitimacy and universality of the ICC. Innocent Africans should not have their lives cut short by senseless acts that go unpunished. There enough of us already in mass graves! This article was originally published on Africa On The Blog.